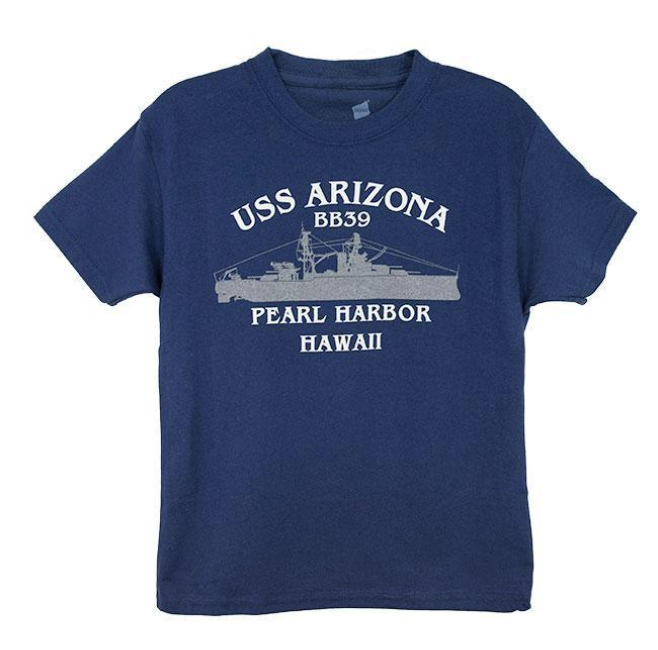 Home / Articles / How Can I Minimize Walking at Pearl Harbor? How Can I Minimize Walking at Pearl Harbor? A visit to the World War II Valor in the Pacific National Monument is primarily a walking experience. From the moment you arrive at the Pearl Harbor Visitor Center, you’re on your feet, trekking from one exhibit to the next. This may not be ideal for all visitors, especially those with mobility issues or others who maybe just did a little too much walking the day before on their hike up Diamond Head Crater. For guests who may be unable to comfortably walk through all of the sites at Pearl Harbor, or find it difficult to walk for longer periods, there are a few options available. If the thought of too much walking at Pearl Harbor concerns you, take a look at the following suggestions. The World War II Valor in the Pacific National Monument and the other Pearl Harbor Historic Sites are handicap accessible, including for visitors who require a wheelchair. You can experience the Pearl Harbor Visitor Center’s exhibits, all elements of the USS Arizona Memorial program, many parts of the Battleship Missouri Memorial, the Pearl Harbor Aviation Museum, and the USS Bowfin Submarine Museum and Park, with the exception of the submarine itself. Please be aware that Pearl Harbor does not provide wheelchairs. If you require one to participate in the tour, it’s recommended that you rent one from a third-party company. Your hotel concierge will be happy to assist you with arrangements, and be sure to specify when you book your tour that you’ll be bringing a wheelchair. Maybe a wheelchair isn’t necessary for you but you still have limits on the amount of walking you are comfortable with. There are several tour options that can reduce the amount of walking you’ll need to do. 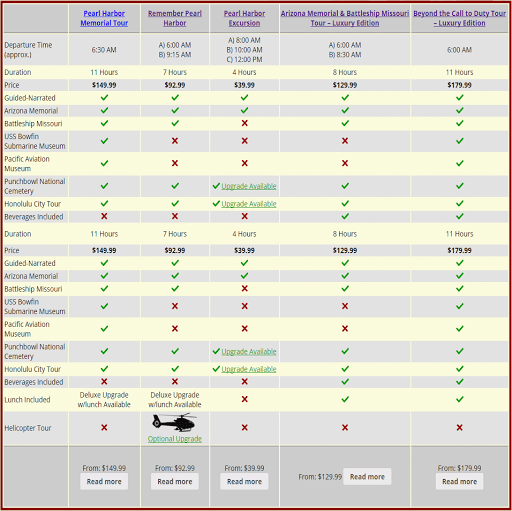 There is always going to be some walking involved, but an option like the Pearl Harbor Excursion reduces it to just the Pearl Harbor Visitor Center and USS Arizona Memorial, which is generally considered to be the centerpiece of Pearl Harbor. 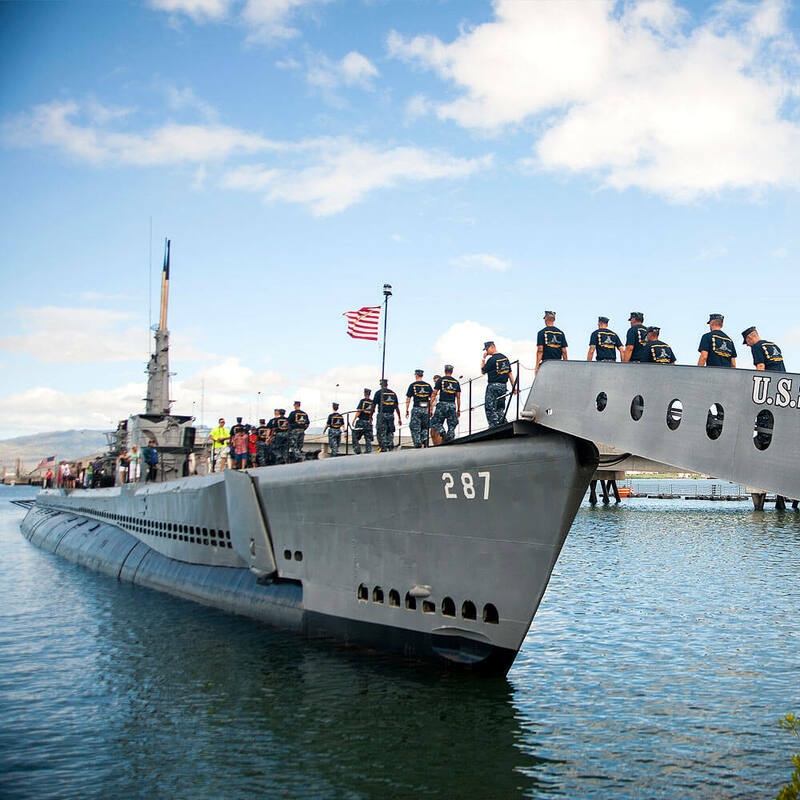 Other tour options like the Pearl Harbor & Honolulu City Tour include sites outside of Pearl Harbor. Get a glimpse of Hawaii’s history with a look at Iolani Palace, the Hawaii State Capitol, and the iconic King Kamehameha Statue. This tour also drives through the National Memorial Cemetery of the Pacific at Punchbowl Crater to give you a chance to pay your respects to the fallen heroes of the US military. If you’re just concerned that all of the walking will tire you out, rest assured that there are many benches scattered throughout Pearl Harbor. Tours do run on a schedule, but there are plenty of opportunities for you to take a quick break and let your legs rest. Of course, don’t hesitate to speak to your tour guide if you need to sit longer or if you feel that you’re having a medical emergency.